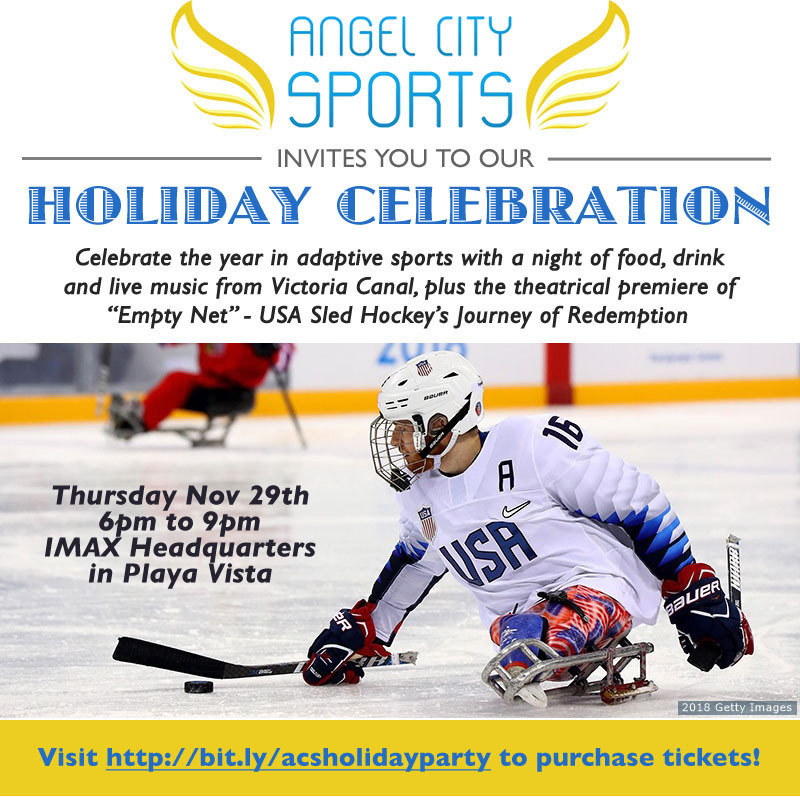 Join Angel City Sports to celebrate the year in adaptive sports with a night of food, drink and live music from singer Victoria Canal. The evening kicks off with the theatrical premiere of “Empty Net” - USA Sled Hockey’s Journey of Redemption. Your hosts for the evening will be US Paralympians Mike Shea (Snowboarding), Taylor Lipsett (Sled Hockey) and Mallory Weggemann (Swimming). We’ll be sharing our vision for growing the Paralympic movement and ways you can support our mission.